Remember Boy Sees Hearts? Artist Eric Telchin sees hearts everywhere and captures them with his iPhone. He tells the story of each heart he finds on his website. 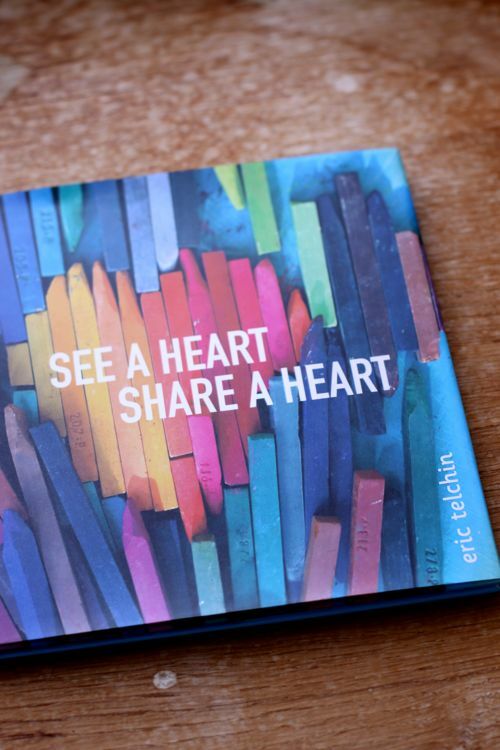 And now the images are collected in a book, See a Heart, Share a Heart. A nice pick for a Valentine’s Day! It’s not sappy or lovey-dovey, so it would even be cute for a friend or your child. This is simply a brilliant. Now someone should do this with clouds, too. Great Valentina gift idea. I’m getting this book for my kids art teacher!!! Clouds! What a cute idea. Ahh, his images are beautiful – they work so well together it’s really quite moving. Thanks for the book recommendation, Hayley! So fun. Very cute idea and perfect for Valentine’s Day! I also photograph clouds. I try to take a picture straight up of the sky whenever I travel.